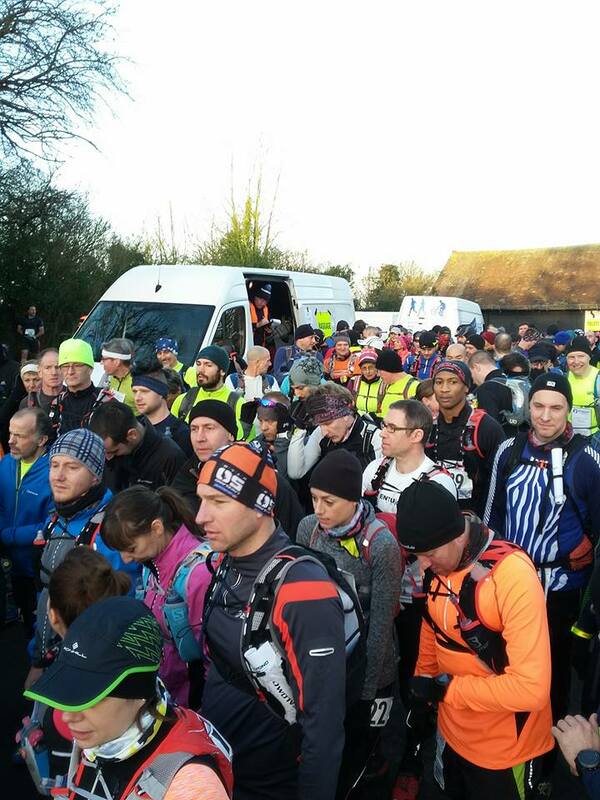 My first run of 2016, in fact my first run at all since getting injured after Christmas, was the Country to Capital ultra on 16th January. 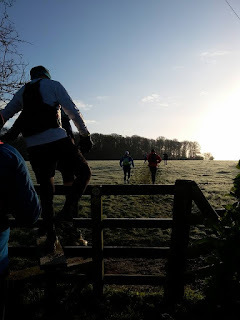 I was pretty nervous as to whether my hamstring would cope with the distance (somewhere between 42 and 45 miles) and the hills, and the mud I was expecting, and even less enthusiastic about the 4:15am alarm call and the freezing temperatures, but nevertheless I was still really looking forward to the race. It covers some beautiful scenery on the cross country route from Wendover in Buckinghamshire, down to London, and finishes with 20 odd miles along the Grand Union Canal. Thankfully...my hamstring held out. I took the first half of the race slowly, and whenever my leg grumbled a bit, I slowed my pace, and generally had a wonderful time. 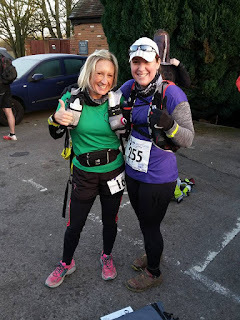 I ran the first 15 miles chatting with my friend Anna, and just soaked up the scenery, and once I'd warmed up, realised the weather conditions were perfect! Cold enough that the mud had frozen pretty solid in most places, but dry, clear and sunny. I plugged into the iPod for the last stint as we headed towards the canal, and after about 20 miles I really came into my own and finished off strongly. 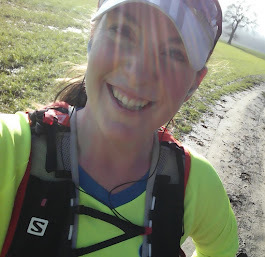 Although my watch died before the end, so I can't be certain of the final distance or my pace, I felt like I was flying for the last few miles and was so pleased. I finished in 8:27, which is a far cry from my time of 8:10 that I ran in 2014, or the sub 8 hours I'd been hoping for, before my 17 day injury layoff, but it was fabulous and I was very relieved to have got through it without crippling myself! I also practiced being self-sufficient, only filling up my water bottles once along the route, and I didn't take any food from the aid-stations, eating only what I was carrying. My race vest was packed with jelly babies, salted cashew nuts, 2 babybel, 4 "finger of fudge" chocolate bars, and two flapjacks. I didn't finish all the jelly babies or the nuts (although snacked on them on the train home), but it worked well. With races this year not having aid stations for 15 or 20 miles, I need to be comfortable and disciplined in doing this (making sure I do actually eat during the run and not wait for the aid stations). The whole race was a real confidence booster and I thoroughly enjoyed myself! wow i really enjoyed ur post here mate. its like even i ran with u.. hahhaa.. i really missed it. but thanks for the share here. it really satisfied me somewhat with all those descriptions there.